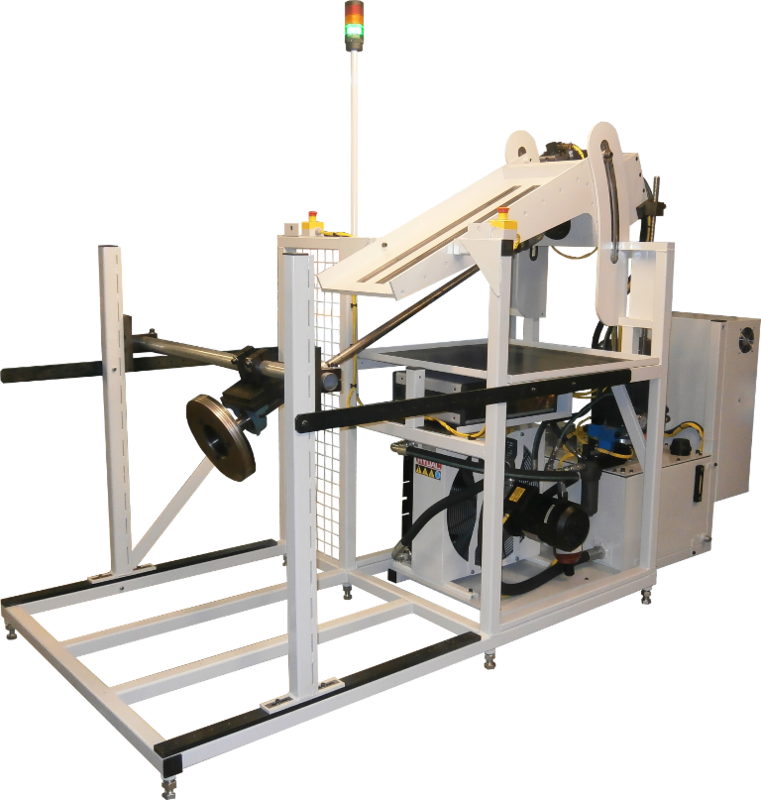 These two machines are for rotational endurance testing of steering column assemblies. 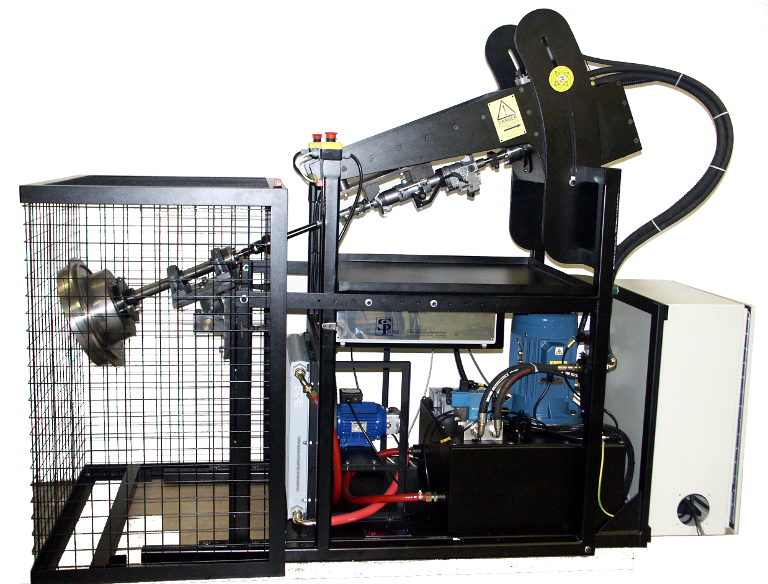 The steering column is mounted in the machine in vehicle installed geometry. A servo hydraulic motor is used to rotate the column at the steering wheel input end. Inertia plates at the rack end generate the desired torsional loading.